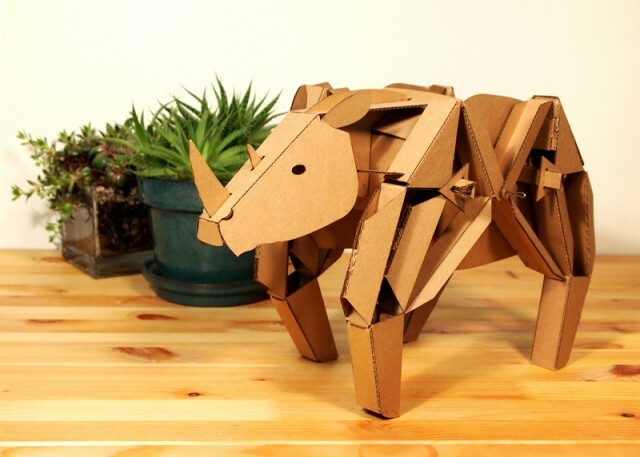 Kinetic Creatures are cardboard walking animal sculptures by Alyssa Hamel & Lucas Ainsworth. 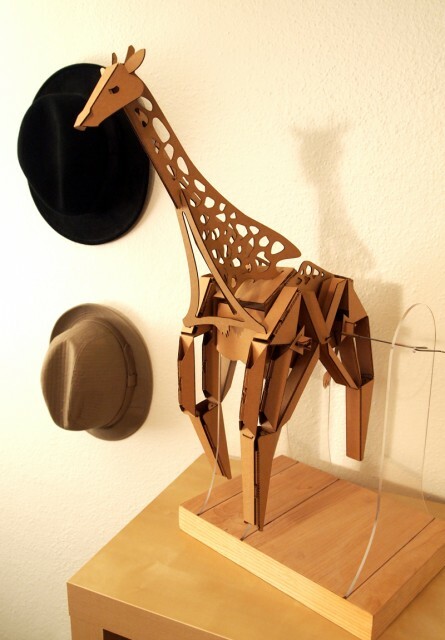 The sculptures are made of cut cardboard parts that fit together with tabs and slots. They walk via a hand crank or on their own with an optional electric gear kit. 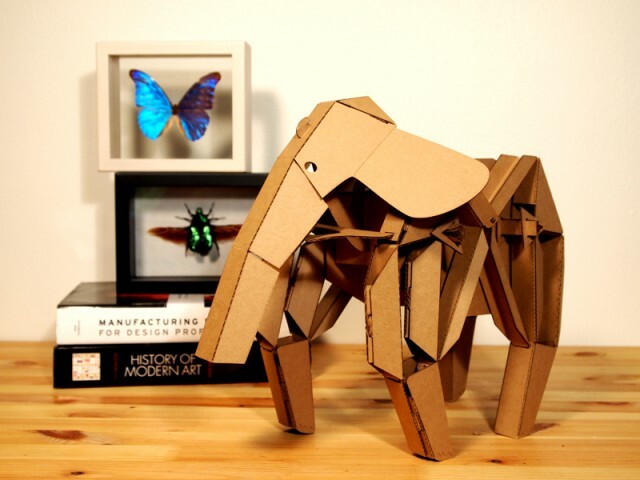 Kinetic Creatures are intended to be learning projects for classroom or home use. Hamel and Ainsworth are raising funds on Kickstarter to finance production of the sculptures.